Heads up, community singers of all abilities! 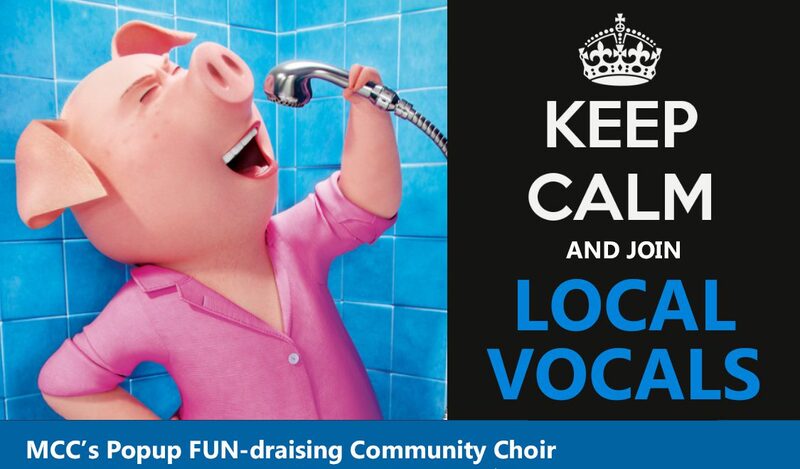 LOCAL VOCALS – MCC’s pop-up community fundraiser choir – is starting up again on (REVISED) TUESDAY OCTOBER 24th @ 7:15pm, for 6 Tuesdays, culminating in a Christmas Concert with Mimico Children’s Choir on Sunday, December 10 at 3pm. There will not be rehearsal on Halloween (Oct 31). This began as a women’s group, but if we have enough men interested, we will include an SATB (Soprano-Alto-Tenor-Bass) number or two and rehearse them with the men at specific times. Membership for men (if there are enough) will be cheaper due to the reduced involvement – TBD. Please indicate your interest in joining LOCAL VOCALS Fall 2017 using THIS FORM, so we can be ready with music scores for you at the first rehearsal, and keep in touch with you via email. (If you have already submitted the form, then you don’t have to submit it again). Payments should be made by cash or cheque to Mimico Children’s Choir, handed in at the first rehearsal. We want to be as inclusive as possible – as such, allowance will be made for those who find the fee difficult to manage. If this is you, please hand in a note and pay what you can. If you’re not sure but would like to check it out – please attend the first rehearsal with no obligation, and then decide! Don’t forget to share and invite all your friends to join us – it’s going to be AWESOME! All abilities, ages 14 and up are invited. See you Tuesday October 24 @ 7:15pm for the first rehearsal, at Mimico Baptist Church. Oh and here’s a little taste from our first session, just to get you in the mood! Mary Bella has a Master of Music with Honours in Vocal Performance and a Graduate Opera Diploma from the University of Toronto. She has 5 years choral conducting and 20 years of professional choral singing under her belt, including over 15 years with the Canadian Opera Company Chorus. Mary has also served choirs for many years as both manager and board president. Alongside her musical exploits, Mary runs her own business, Maestra Web Design, which specializes in websites for artists, arts organizations and non-profits. Questions? Email Mary at localvocals.lakeshore@gmail.com for more info.